If you are working on getting services for your child with special needs, you may have heard about Medicaid HCBS waivers. 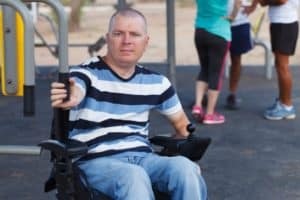 You may not realize how important getting an appropriate HCBS waiver is for adults with special needs. What Are Medicaid HCBS Waivers? Each waiver covers a different set of services tailored to a group of people with special needs. To receive a waiver, you must be a U.S. citizen or legal alien, be a resident of Illinois, meet Medicaid financial eligibility requirements, require a certain institutional level of care, and have care needs that can be met at an equal or lower cost to institutional care. Each waiver also has some particular requirements. Why Are These Waivers Important? Since the services people with special needs require are often extremely expensive, having Medicaid cuts the financial burden for these individuals and their families. This frees up your family’s financial resources to pay for items not covered by government programs. Without HCBS waivers, many adults with special needs would not be able to receive important services. In addition, the waivers make it possible for people with special needs to live at home or in a group setting, instead of in an institution. Staying in a comfortable and familiar setting may be crucial for your relative with special needs to thrive. Plus, family members can continue their close relationships with your relative while the Medicaid services relieve you (and them) from some of the caregiver duties.